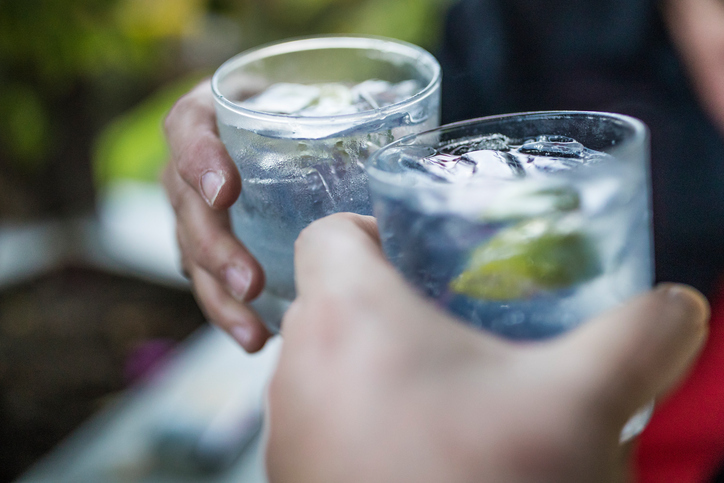 Gin more likely to dampen your spirits than wine, beer! Home / Lifestyle / Gin more likely to dampen your spirits than wine, beer! About 30,000 people aged between 18 and 34 were asked about how drinking red or white wine, beer or spirits affected them. Spirits such as gin are more likely to induce sadness and tears, while drinking beer and wine can help you relax and lift your mood, according to the largest study that looks into how different alcoholic drinks affect emotions. About 30,000 people aged between 18 and 34 were asked about how drinking red or white wine, beer or spirits affected them, either drinking at home, or when out. Drinking spirits was more likely to draw out negative feelings than all the other types of alcohol, according to the study by Public Health Wales in the UK. Nearly one third of spirit drinkers linked feelings of aggression with their drink compared with around 2.5 per cent of red wine drinkers. Similarly, nearly one quarter said spirits left them tearful, compared with 17 per cent of red wine drinkers, and nine per cent of beer and white wine drinkers. Spirits were also the least likely to be associated with feeling relaxed, with just 20 per cent of people claiming drinks like gin, vodka and whiskey calmed them down. In comparison, more than half of red wine drinkers said they felt more relaxed after their favourite drink, a feeling also shared with 50 per cent of beer drinkers. “For centuries, the history of rum, gin, vodka and other spirits has been laced with violence, and it is true that spirits were more strongly associated with being tearful,” said Professor Mark Bellis, director of policy, research and international development at Public Health Wales. “Spirits are often consumed more quickly and have much higher concentrations of alcohol in them. This can result in a quicker stimulating effect as blood alcohol levels increase,” Bellis was quoted as saying by ‘The Telegraph’. “As people get the kick from escalating alcohol levels, the same increases reduce the brain’s ability to suppress impulsive feelings or to consider the consequences of acting on them,” he said.